Nine months have passed since Indigenous human rights defender Sebastian Alonso Juan was shot and killed at a peaceful protest in Guatemala’s Ixquisis region, and communities are still waiting for justice. On Jan. 17, 2017, Sebastian Alonso Juan joined a nonviolent community demonstration against Promoción y Desarrollos Hídricos (PDH), S.A, the Guatemalan subsidiary of an international company behind the construction of three controversial hydroelectric projects, Pojom I, Pojom II, and San Andres. Juan died after suffering gunshot and machete wounds when armed men opened fire into the crowd of peaceful protesters, who were under the watch of police and private security forces hired by PDH S.A. But this violence is not new for Ixquisis residents. Located in Huehuetenango near the border with Mexico, these Chuj, Q’anjob’al, Akateco, and Mestizo communities live in isolation from basic state services such as education, medical services, and electricity. Today, some of the only clear state presence are the military and police forces. Thirty five years and six months before the killing of Sebastian Alonso Juan, on June 17, 1982, during the height of the 36-year civil war, the Guatemalan military massacred approximately 350 people at Finca San Francisco in northern Huehuetenango, burning women alive in their homes and murdering children, elders, and men. Though the memory of these atrocities remains alive in local communities, a lack of political will to prosecute civil war-era crimes against humanity has allowed most perpetrators to evade justice. Instead, impunity reigns for the crimes committed by the Guatemalan military during the internal armed conflict, and many former military officials still hold political power. President Jimmy Morales’ political party, FCN-Nación, for example, is backed by former military elites, some of whom currently face investigations for human rights abuses during the internal armed conflict. The physical violence, defamation, uncertainty, and threats have a physiological impact that infiltrates every moment of the day. Former President Otto Pérez Molina, who also participated in some of the worst abuses during the internal armed conflict, such as the the genocidal campaign against Indigenous people in the 1980s, re-established both of the military and police encampments in Ixquisis in 2014, sparking fears of history repeating itself in the region. In neighboring Barillas, Pérez Molina’s administration declared a state of emergency in 2012 in response to protests against hydroelectric projects, leading to the suspension of constitutional rights and the detention of more than a dozen community members, 11 of which a United Nations committee later deemed were arbitrary detentions. 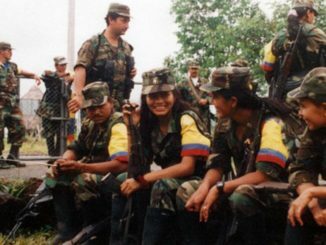 These military bases have ignited fears of resurging repression tactics seen during the internal armed conflict, including armed night patrols, threats of sexualized violence, kidnapping, and intimidation aimed at silencing local organizing. The Minister of Defense claim that the new military and police encampments aim to reestablish peace in the area, but the fact that both these bases are located on PDH S.A.’s private property casts doubt on the official claims. Local residents shared with me how this increased militarization impacts their daily lives. A campesino being followed by armed agents who shout, “It is your last day,” makes his walk to the coffee fields an act of courage. A mother being told, “If we do not succeed in killing your father, we will kill your child,” turns the three minutes that it takes for her child to walk home from school into a wait of agony. The physical violence, defamation, uncertainty, and threats have a physiological impact that infiltrates every moment of the day. These large-scale hydroelectric projects threaten the very survival of local communities. Pojom I, Pojom II and San Andres have been the source of environmental degradation and continuous human rights violations since the company first moved into the territory. Communities have repeatedly decried the displacement and environmental impacts resulting from the construction of the dams, irregularities in the Environmental Impact Study, as well as the irregular approval of the projects and authorities’ failure to consult affected communities in accordance with Indigenous peoples’ international right to free, prior and informed consent. The impact on the drinking water directly threatens the ability to live in this region. The rerouting of the rivers that these projects require takes away drinking water from surrounding communities. However, the Environmental Impact Study of these projects largely downplayed the environmental impacts. Activists and advocates attribute this to the various connections between those who wrote the studies and the companies involved in hydroelectric projects in Guatemala. The EIS for Pojom II and San Andres was written by Grupo Sistemas Integrales de Gestion Ambiental, S.A. (SIGA) in collaboration with engineer Otto Manfred García Mansilla, a former legal representative for Hidro Santa Cruz, S.A., the company behind the hydroelectric projects in Barillas. SIGA has been publically denounced for its corrupt relationship with the former head of the Ministry of Environment and Natural Resources, Roxana Sobenes García, who used to be the sole administrator and legal representative of SIGA. The study included no plans for mitigation of environmental impacts nor a complete analysis of how water loss as a result of the dam will impact the local residents. With these worries in mind, the mostly Indigenous communities of San Mateo Ixtatán organized a community consultation in 2009 where 99 percent of the 25,646 people present voted against all hydroelectric and mining projects on their land. Despite clear community consensus, two years later the Ministry of Energy and Mining authorized various hydroelectric projects in the territory without the prior consultation of the population. The communities have been fighting for over seven years for recognition of this 2009 community consultation. But despite the ongoing struggle, economic development policies prioritizing resource extraction – paired with state repression – deny and attack Indigenous land rights and efforts to resist unwanted projects. 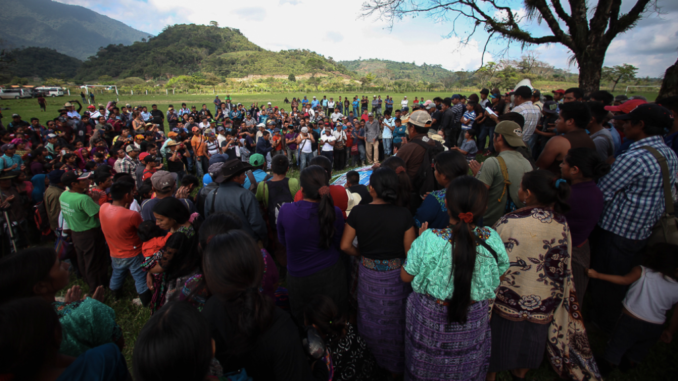 In this context, fed up with constant human rights violations and a lack of government and corporate accountability, Ixquisis communities planned a protest on Jan. 17, 2017 that brought together more than 1,000 community members to peacefully protest the hydroelectric company and survey the environmental damage caused by the construction of the dam. The community members went to the tunnel built through the mountain, where the company will reroute the rivers, and past the large machines and huge PDH S.A. construction sites. On route back to Ixquisis, the armed agents shot at the peaceful demonstrators from all directions. Various witnesses reported that private security forces hired by PDH S.A were hidden behind the area where the company stores its machinery, “shooting to kill.” As panicked community members fled for their safety elderly community member Sebastian Alonso Juan fell behind and was shot in the side. An hour and a half later, his family and neighbors returned to collect his body, finding that he was still alive, but with signs of torture, as his mouth, face, and neck were scored by machete cuts inflicted by unidentified aggressors. After local medical centers and police did not answer calls for help, Juan’s family began the trip to the nearest medical center. Juan died on route. His family returned the body to Ixquisis and gathered with the community to figure out next steps. 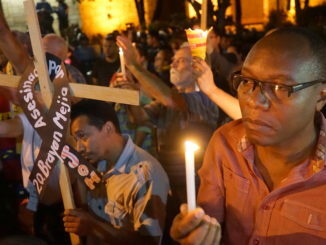 The communities’ demands for an immediate investigation into the murder of Sebastian Alonso Juan and recognition of the continuous human rights abuses that their families and communities face on a daily basis have largely fallen on deaf ears. Although the company suspended dam construction for a couple months after Juan’s murder, operations resumed in March, without consulting the community or acknowledging their demands for accountability. There has been little to no follow up in the investigation and the state response has largely been to increase criminalization against community organizers. But the communities of Ixquisis have not stopped fighting. In March, the affected communities – in conjunction with international organizations – brought their case to the Inter-American Commission on Human Rights in Washington, D.C., highlighting the criminalization of Indigenous land defenders around hydroelectric dam projects in Guatemala. In May, nine community members filed two complaints citing the lack of community consultation and irregularities in the Environmental Impact Study. These complaints are legal instruments that in some cases have resulted in orders from Guatemalan courts to suspend projects until a community consultation is held, as required by the International Labor Organization’s Convention 169, ratified by Guatemala. Despite the repression, communities have continued to peacefully protest, most recently on Aug. 30. In addition to struggling for justice for right abuses, affected communities will continue to call for the permanent cancellation of the unwanted hydroelectric projects that threaten the rivers that sustain life and livelihood and a halt to the militarization of the region. Zia Kandler witnessed this conflict first hand over the course of 10 months as an international human rights observer with the Network in Solidarity with the People of Guatemala (NISGUA).